If sitting is the new smoking, it’s time to take a stand for your longevity and well-being. You lift, you run, you eat healthy foods, all in an effort to enhance your appearance, performance well-being. But there’s one thing you may doing each day that’s wreaking havoc on your physical and mental health—sitting. That’s right, something as seemingly benign as the act of sitting could slowly be taking years off your life. According to the British Journal of Sports Medicine, the average American adult sits between 9 to 10 hours a day, mostly behind a desk at work. Not only is this sedentary time detrimental to your daily functioning, it’s also been shown to reduce the number of years you live. The study went on to note that even if a person completes the recommended daily 30-minutes of exercise; the amount of time spent sitting all day, still substantially affects the mortality rate. In addition, People that sit the most have a 112% increase in the Relative Risk (RR) of Diabetes and a 147% increase in the RR of cardiovascular events compared to people who sit down the least. Overall mortality is increased by 50%. Sitting down has similar mortality rates to smoking. Need more proof, the same BJSM article also noted that the likelihood of getting certain types of cancer are also increased with exhibiting sedentary behavior on a daily basis. 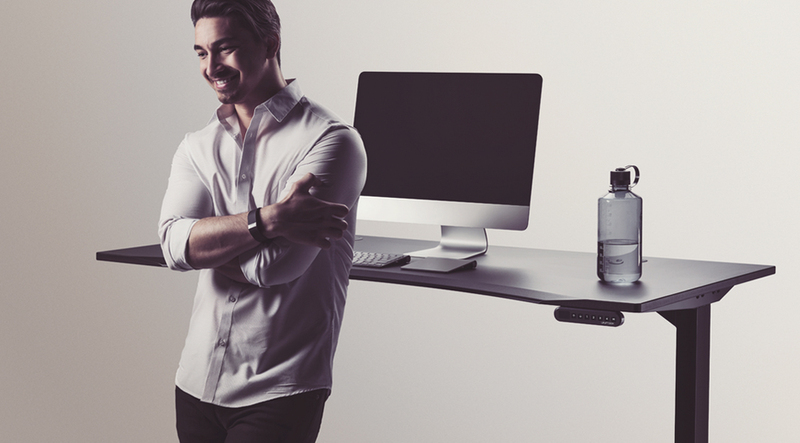 So why is a standing work desk a good way to go. 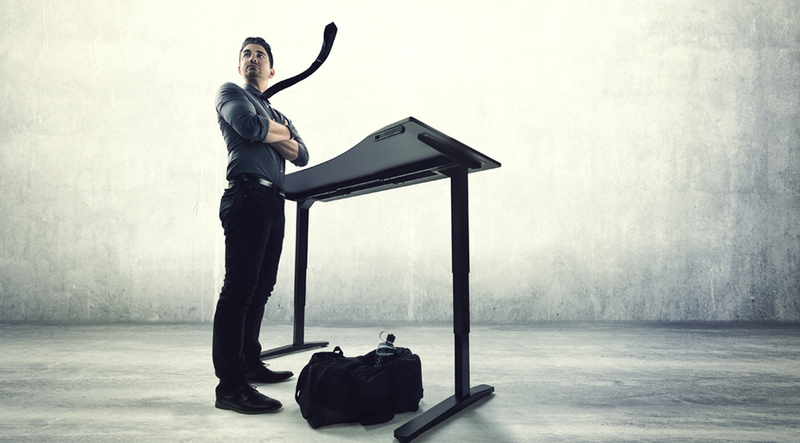 “When somebody gets a standing desk, they generally stand for several hours a day. But they don’t stand still. They generally move from leg to leg and change their body posture quite a lot. That weight-bearing and adjustment of weight-bearing has a whole series of physiological benefits to the musculature, the balance in musculature, the visual cortex, the testicular system, and so on,” says Dr. Levine. Diabetics can benefit immensely from recent discoveries by the American Diabetes Association. Research by Dr. Levine and colleagues showed, for instance, that the installation of sit-stand desks reduced sitting time during a 40-hour workweek by eight hours and reduced sedentary time by 3.2 hours. Further, the participants enjoyed having the option of a sit-stand desk, which was also associated with increased sense of well-being and energy, and decreased fatigue. there's really no need for an expensive ergonomic chair.